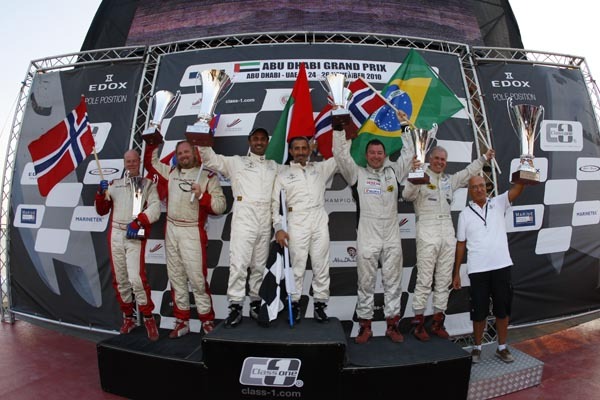 Friday, 26 November, ABU DHABI (UAE): Defending World Champions Arif Al Zafeen and Nadir Bin Hendi produced a Championship winning drive to clinch a tenth World title for Dubai’s Victory Team, winning a dramatic and incident filled race 2 of the Abu Dhabi Grand Prix, with two separate incidents involving Victory 2010 and a collision between Skydive Dubai and Negotiator, forcing race officials to immediately red flag the race and call for a restart. Second place went to Welmax’s Kolbjorn Selmer and Jorn Tandberg after a titanic battle for podium honours with their Norwegian rivals Relekta, with Paul Gaiser and Christian Zaborowski producing an outstanding performance to take their first podium of the year. 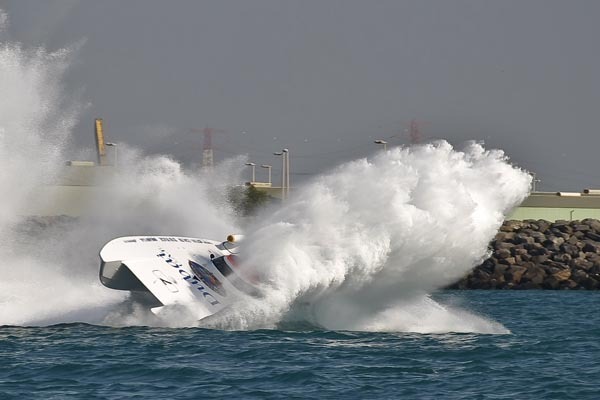 The high-impact coming together between Abdullah Al Meharibi and Talib Al Sayed in Skydive Dubai and Italians Luca Fendi and Giovanii Carpitella in Negotiator, that sidelined both boats, happened almost immediately. “We arrive together at the turn with number 7, I saw number 1 coming from outside, we turn easy then I saw the nose of 1 coming at us.” said Carpitella. 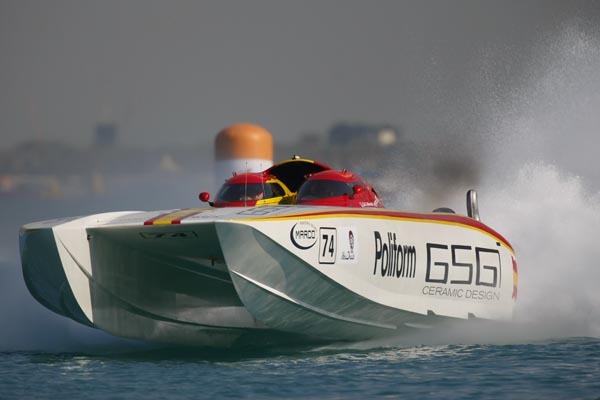 For race 1 winner’s, Team Abu Dhabi, it was a case of the podium that got away from them after Rahed Al Tayer and John Tomlinson were given a penalty long-lap for missing a turn buoy at the end of lap six, dropping them to fourth place, with GiorgiOffshore’s Sandro Sardelli and Nicola Giorgi completing a solid points scoring weekend finishing fifth, whilst an already frustrating weekend for Guido Cappellini and Giampaolo Montavoci in GSG Ceramic Design ended with them stopping just minutes after the restart. 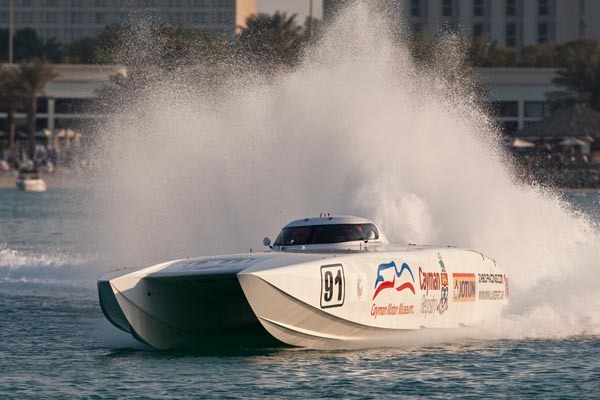 With their third World titles already secured Arif Al Zafeen and Nadir Bin Hendi will now turn their attentions to trying to overhaul Team Abu Dhabi in the battle for the Middle East Championship in the final Grand Prix of the season in Dubai, 9-11 December.